Who says that your dog can't be as fashionable as you are? 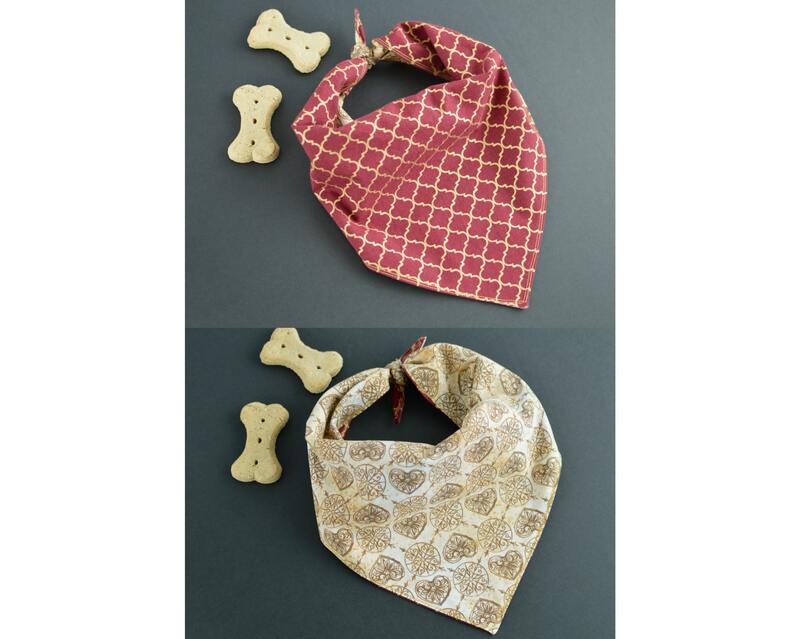 This is a handmade, reversible bandana for your pup! Made with quality, carefully curated fabrics that are complimentary to each other as well as fashionable and striking! This bandana is fully reversible so you are getting two great styles in one. One side features a burgundy background with metallic gold quatrefoil pattern while the other has vintage heart and medallion pattern in cream. The edges are fully finished so it has a professional look. 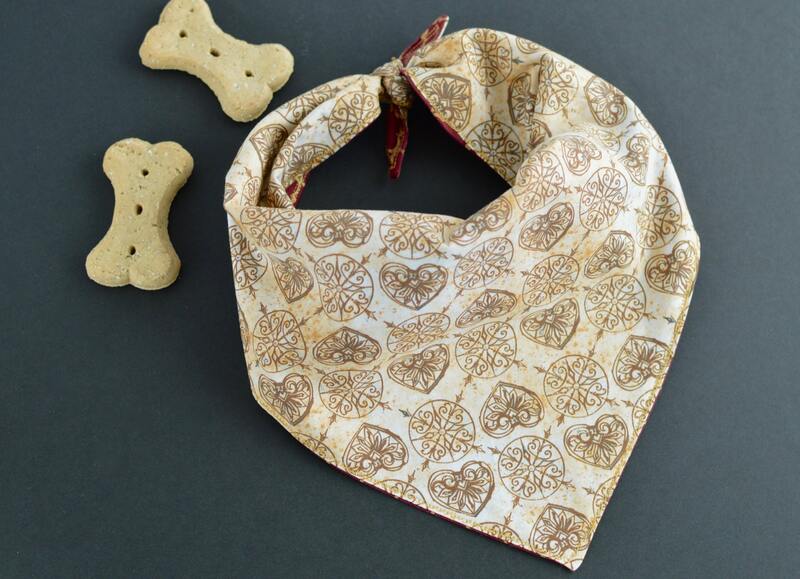 This comes in all sizes from the tiniest puppy to giant breeds like Mastiffs and Saint Bernards! 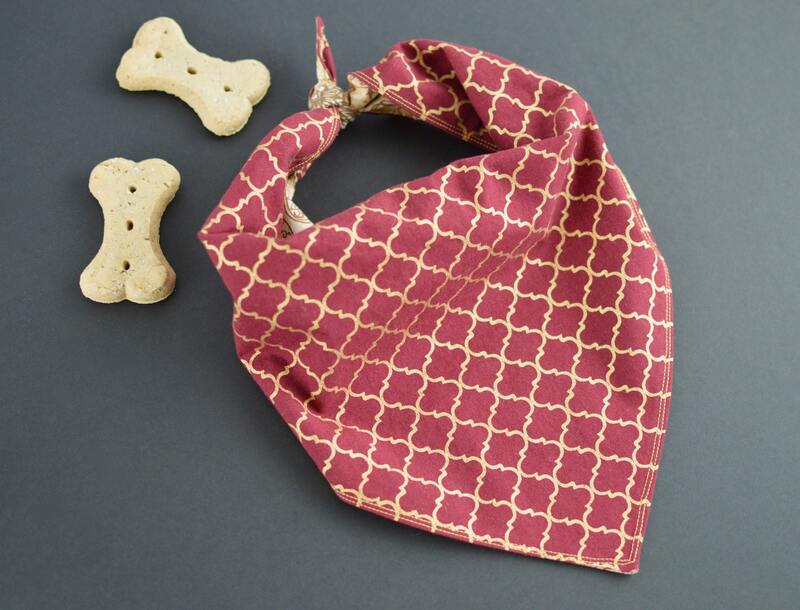 Their name (10 characters max) will be embroidered In a red-hued thread on the Heart side of the bandana, and in a white thread on the Quatrefoil side. That's right--the name is on BOTH sides! The same font style will be used on both sides unless you specify a different combo. Want a custom fabric combo? Want more than just a name on the bandana? Message us and we'll look into options! •Orders to Canada ship USPS First Class International Package service and do NOT give a delivery estimate as it varies by area. *Please note any taxes or duties charged by your country for delivery are the responsibility of the customer.